five years’ time. “There is even talk of a cure for LAM,” she said. University of NSW 14-15 November and sponsored by Novartis. 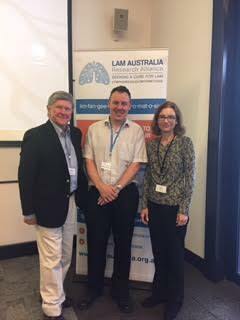 experts, and committee members of LAM Australia Research Alliance. Sydney’s Woolcock Institute, currently focusing on biomarkers. For more about the LAM work of Dr Lisa Henske see www.henskelab.org.